And no…I’m not on the hunt for more children or dogs. Nor am I looking for another man. We’ve enjoyed breaking bread with you these last couple of months. And you’ve lasted longer than most. 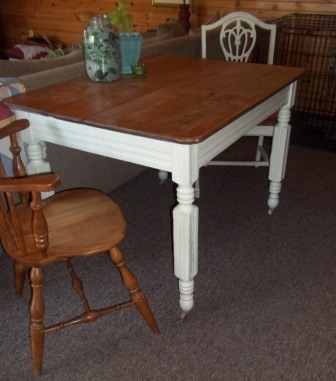 It all started with my original dining table. 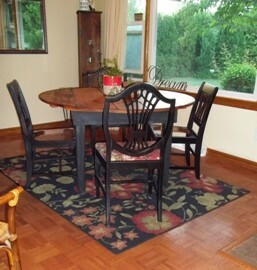 It was factory finish Cherry and from a well-known furniture store. But I got bored, dragged it into the garage, took the power sander to it. Some paint. And voilà! And I think I missed a couple of tables. There was a solid maple drop leaf. And my ‘spare.’ After realizing that I can’t do without a dining table, (Or the picnics on the floor…) I borrowed a table that a friend doesn’t use. That way, I’m never without a table. 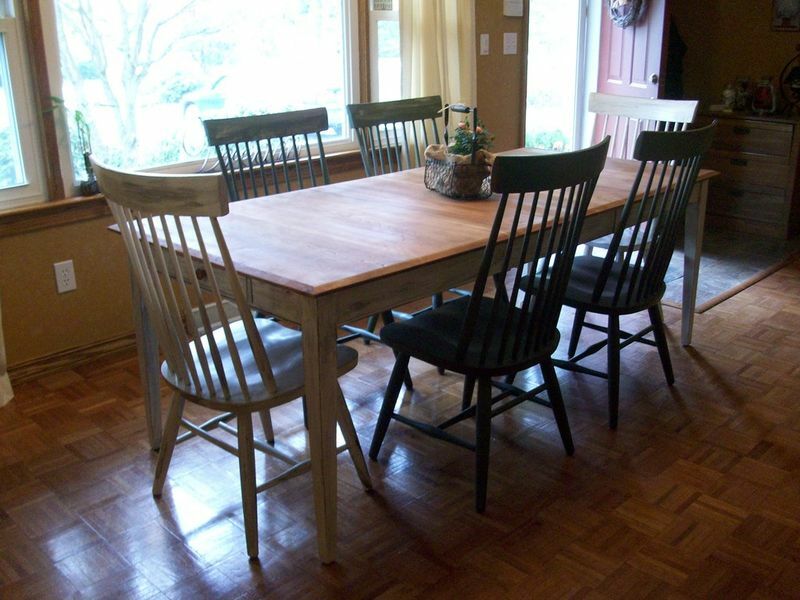 Which means the Trestle Table is #8 and I’ll be looking for #9. Many people have extra clothing, shoes, or a spare cooler to fill with beverages at parties. 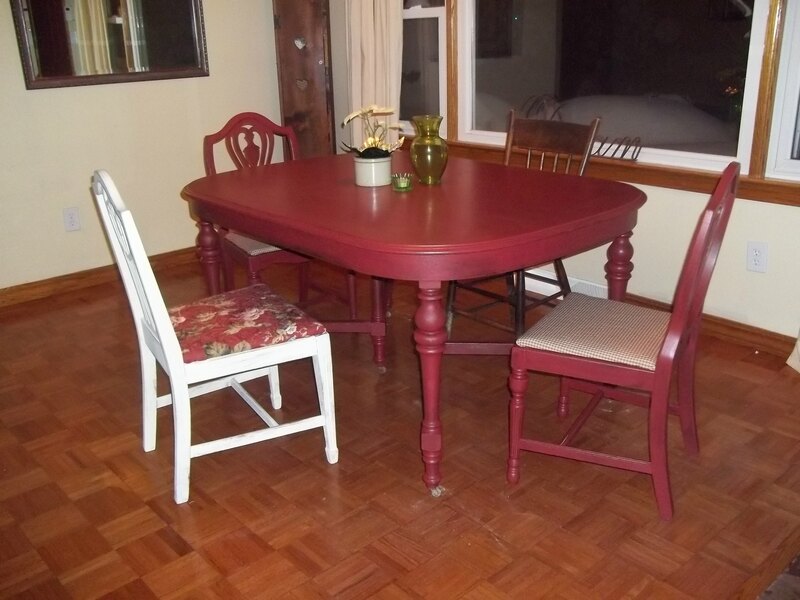 Probably, I’m one of the few who keeps a spare dining room set around. I’m a huge fan of original wood. But when I can’t save the wood, I’ve got to get creative. 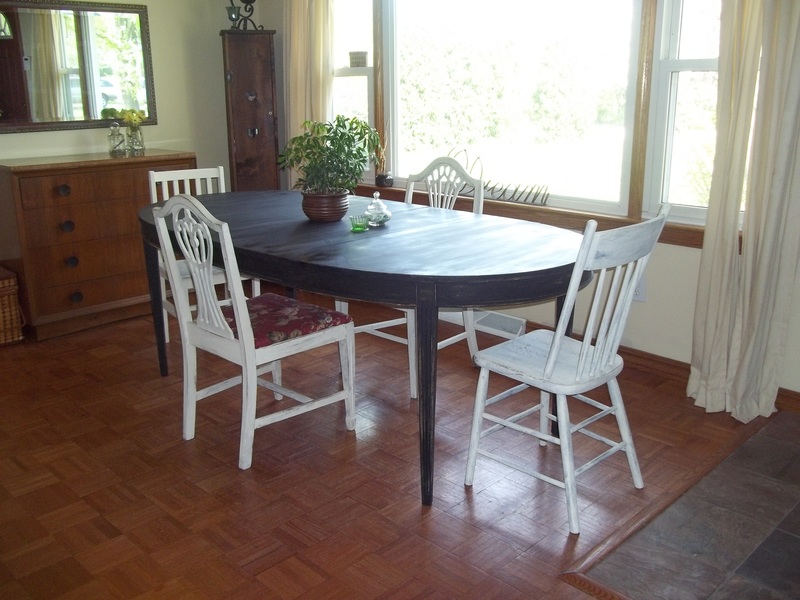 And I’ve found paint to be effective in creating unique, one-of-a-kind tables, chairs and dining sets. After about 2 months of looking at the Trestle Table, I’ve itched for a change. That table was actually on my nerves. I’ve got to admit, I’m getting a little excited. I’m off to an estate sale in search of #9. Kind of looking forward to a new look in the dining room. We’ll see what I come up with. 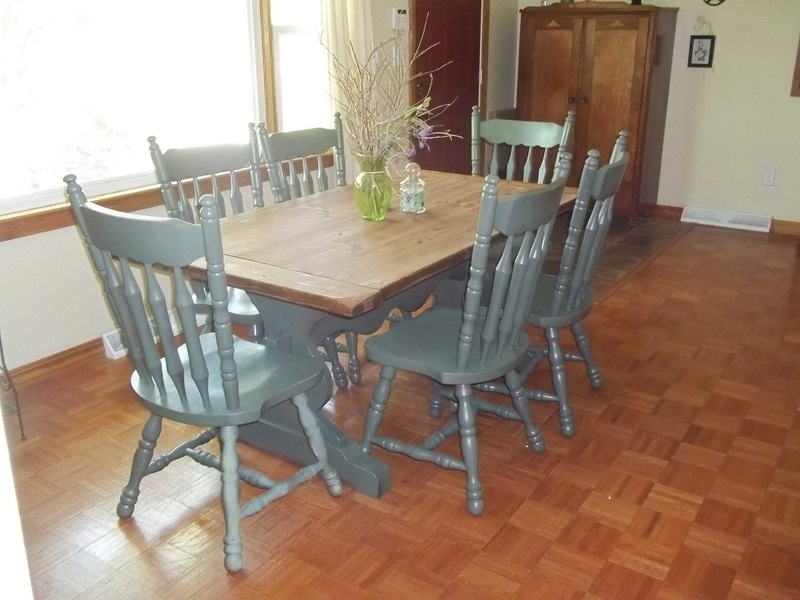 This entry was posted in Decorating & Design, eBay (Green Door) and tagged Dining Tables, Furniture, Selling Vintage Furniture, Trestle Tables, Upcycled Furniture by Amy Lauria. Bookmark the permalink. I have total faith.you will come up with another table and man!